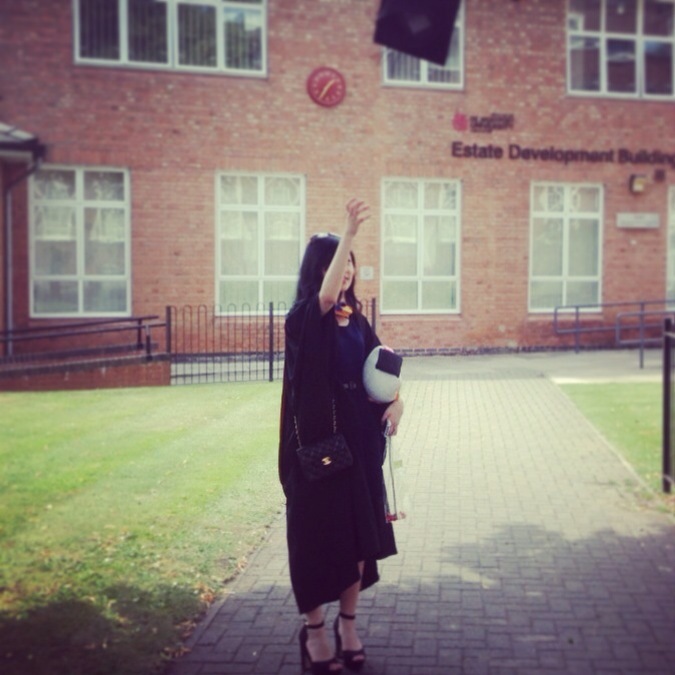 So yesterday, I graduated and am now officially no longer a student anymore. Ending the era with a First Class Honours in Business Management and Economics (and won an award for highest marks on the course, whaaat). So many mixed emotions. Yesterday was super stressful. The process of waking up at 5:30am, getting my robes, having trouble with the hat, making sure my hair looked ok, and generally working up a sweat running about everywhere. After I finally had my photograph taken, I had to trek it to the theatre for the actual ceremony. Walking around in black robes + 30 degrees heat = not that fun. Am I the only one who didn't enjoy Grad day? The graduation ceremony was so long. So many peoples' names called out. Yet it feels like a blur now. I was so nervous that I practically ran across the stage. And then felt a bit emotional when the gospel choir sang Hallelujah. I can't believe I've graduated! 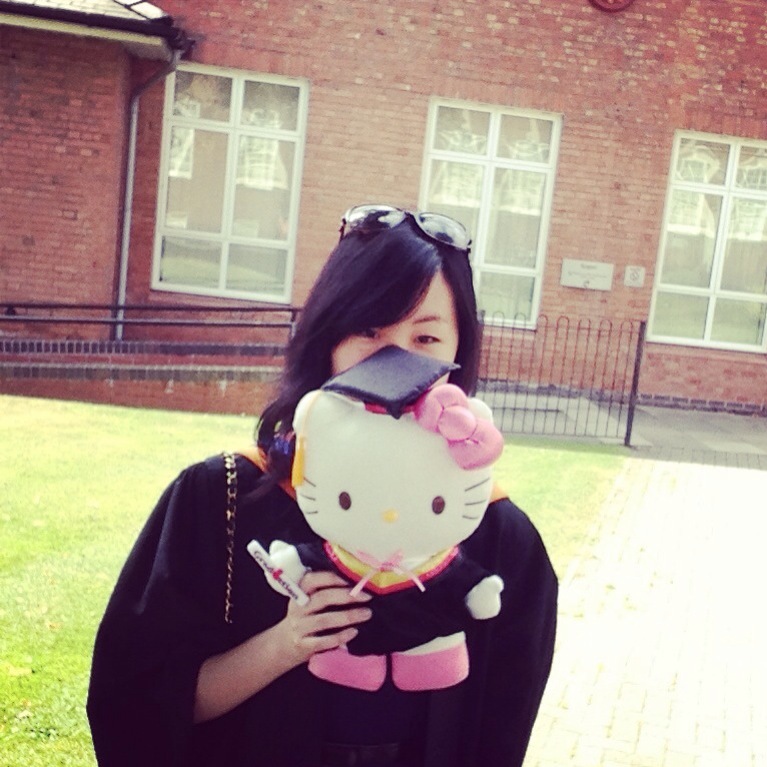 Cliche, but my time at Uni has been... life-changing? I cried a lot, I laughed a lot, I learnt a lot about myself, and others, and made some great friends and memories on the way. Casually throwing the hat by myself. 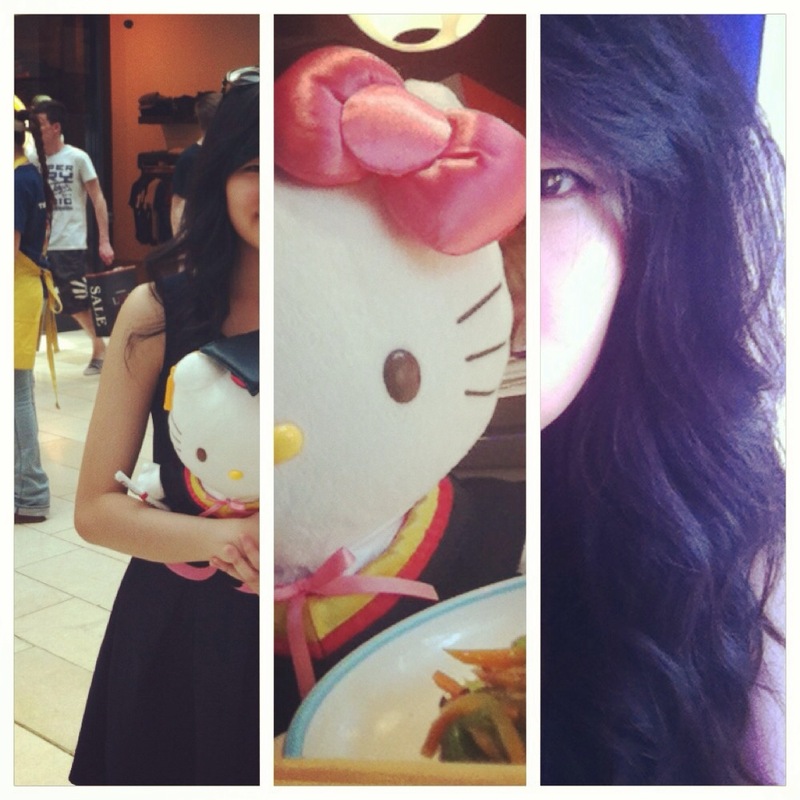 Me and my homegirl Hello Kitty.